Has your practice been in continuous business for more than 3 years? Do you have a staffed practice open to the public at least 5 full days a week? Would you like your Audiology Business to be listed here? An excellent way to raise your profile and to provide independent evidence of your professionalism and care. For every new review, a Google blog post is published. Excellent for SEO. Trusthear.org is promoted on Google AdWords (sponsored ads). No initial cost. See below. Run by an Audiologist in the UK, keen to promote good practice in our profession. Free marketing materials, namely hand-out postcards, practice posters and stand-up cards – here’s some examples. We will list your first 4 reviews for free*. All you need to do is ask every new patient to leave a review (at Trusthear.org) about their experiences in your Practice. Even better, get your patients to send us a photo too. For a short, pithy review, Google is a better destination (ie for micro-suction patients). 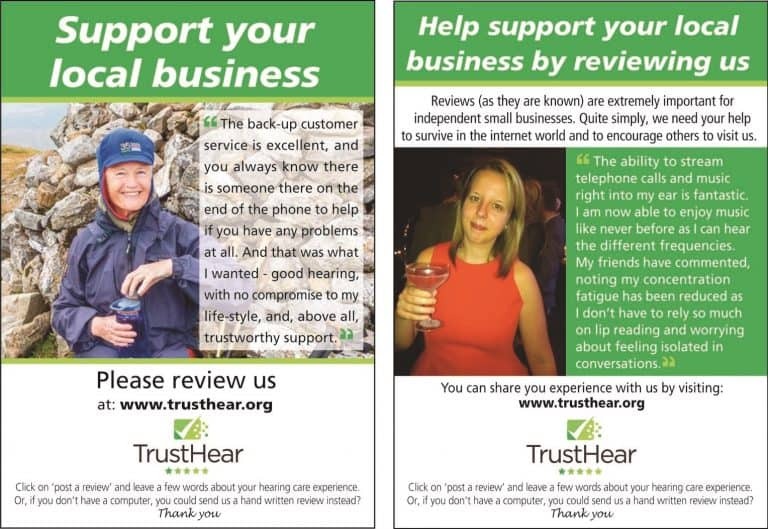 TrustPilot is a good place too for longer reviews / stories. Some patients will gladly post a review on more than one website! We are trying to keep this site for hearing aid reviews, not micro-suction patients. We will publish 1 or 2 micro-suction reviews per company as a representation (so please inform your patients correctly). Tinnitus and balance reviews are so badly needed ‘out there’, as are reviews about Roger; and about low cost ancillary assistive devices. 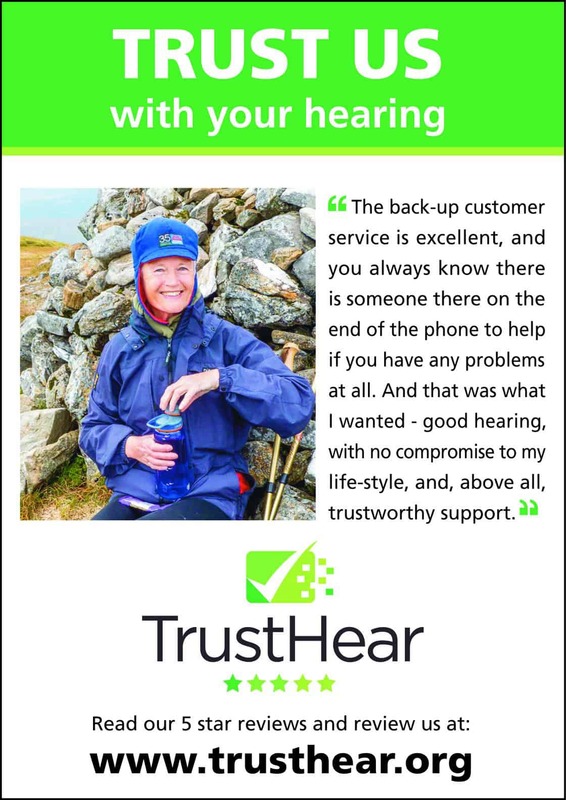 Also, it is rare to get reviews about hearing aids for profound hearing loss. All of these review types will be given greater exposure. 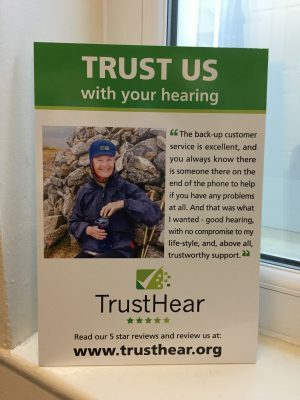 We intend to give greater presence long term, to the audiologists that have to most positive reviews, so get started ASAP. *then once you have over 4, or after 1 year it’s just £15 per month.